I was recently checking over the configuration of a NetApp FAS 2252 to ensure it was installed correctly before it gets handed over to a customer. In doing this I checked the High Availability section under Cluster and then the NetApp Cluster name. There was a yellow warning box above the NetApp HA diagram that stated "Node NetAppNode has some LIF's that are not in their home node", although I was confident this would not affect the failover itself I wanted to get rid of the error. Connectivity to SVMs is provided through logical interfaces (LIFs). A LIF has an IP address or World Wide Port Name used by a client or host to connect to an SVM. A LIF is hosted on a physical port. An SVM can have LIFs on any cluster node. 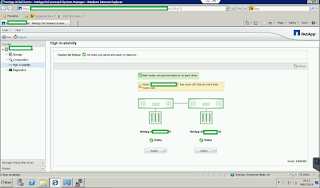 Clients and hosts can access data regardless of the physical location of the data in the cluster. The cluster will use it’s interconnect to route traffic to the appropriate location regardless of where the request arrives. 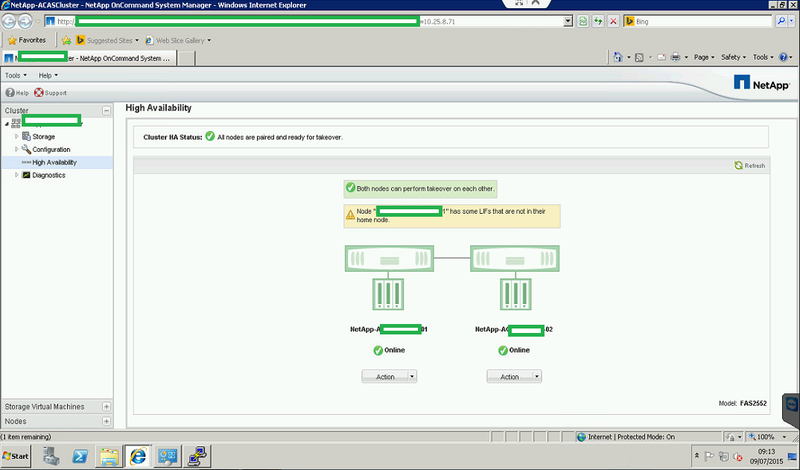 LIFs virtualize IP addresses or WWPNs, rather than permanently mapping IP addresses and WWPNs to NIC and HBA ports. Each SVM requires its own dedicated set of LIFs. This will display all of the LIF interfaces assigned to the SVM's on your NetApp, I only have one SVM and as you can see it has three LIF interfaces. 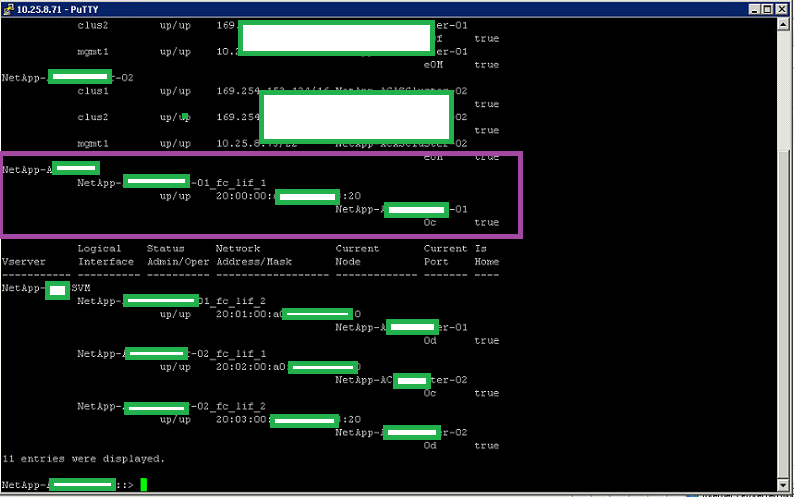 If you look above the SVM line (circled in purple) you will see one of the LIF interfaces is orphaned. This is what was causing the error. The following command can be used to re-home the orphaned LIF interface. If you return to the GUI interface you will notice is warning has disappeared.